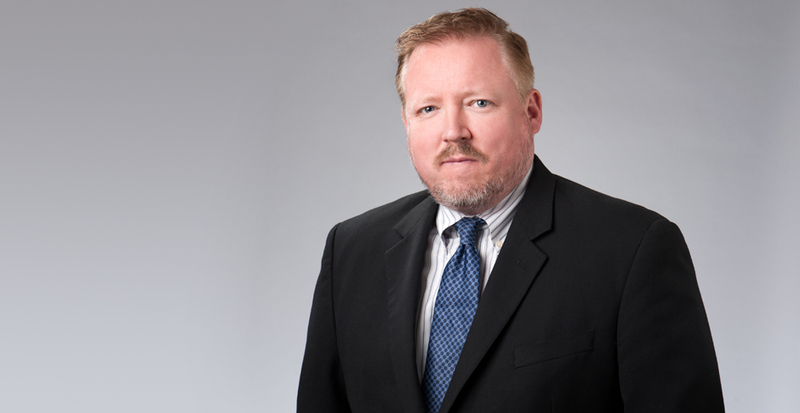 Eric Freeman is Of Counsel in Selman Breitman’s Las Vegas office and is a member of the firm’s Trucking and Transportation, General Liability, and Toxic Tort/Environmental practice groups. He represents individuals and corporations in litigation, including cases arising out of automobile/personal injury claims, bus and interstate trucking accidents, premises liability, negligent security, product liability, toxic tort litigation, and construction claims. His clients include trucking companies, fixed route and paratransit bus companies, rental car companies, construction companies, sports and entertainment businesses, hotels, casinos, night clubs, and other small businesses. With his trucking and transportation practice, Eric has experience litigating catastrophic injury claims arising out of bus and trucking accidents. He also has experience defending corporations in disputes that involve complex claims involving the exposure to asbestos, mold, chemicals and other hazardous substances. Eric’s far-reaching experience in general liability provides him a unique ability to thoroughly evaluate complex cases in order to assess liability exposure, and aggressively defend and protect his client's interests. He works closely with clients to carefully analyze each matter assessing the risks, exposure, and specific course of action to best serve his client's interests. He believes that the client's interests and needs must merge with the defense strategy and plan of action. Because of this, he has been successful in his motion practice and in securing dismissals for his clients in many cases before extensive discovery was necessary. Eric is frequently called upon by clients and insurance companies to give presentations on various subject matters relating to key issues in Nevada law, insurance claim practices, and construction defect litigation, including those specifically relating to defending individuals and businesses. Raised in Las Vegas, Eric presently resides in Henderson, Nevada with his wife of over 20 years and their two children. When not helping clients with their legal needs he spends his time coaching youth soccer and flag football, and enjoying the great outdoors. Dismissal was obtained of two clients sued in a serious bodily injury case involving a vehicle rollover that occurred during a national racing event. Plaintiff filed a lawsuit based on various negligence theories as a result of physical injuries suffered in the accident. Motions to Dismiss were filed on all claims prior to incurring discovery costs, and the dismissals of clients followed shortly. Summary judgment was obtained in a case defending property owners arising from plaintiffs' claim for physical injuries sustained in a fight that broke out at a rental home. It was established that client property owners had no notice nor reason to anticipate the wrongful acts, and that client did not have control over the subject property. The Court agreed, and the motion was granted in its entirety in favor of client. Victory was obtained in a case in which plaintiffs pursued bad-faith related claims against client, a short-term lessor of vehicles. Plaintiffs made demands on clients in an attempt to establish unlimited joint and several liability against the short-term lessor for the lessees' negligence. Through motion practice, arguments were crafted based on recent Nevada Supreme Court cases to establish clients' compliance with Nevada's financial responsibility law and statutory limits on short-term lessors' liability. Obtained a dismissal of trucking company and its driver by arguing co-defendant was solely liable for the motor vehicle accident. Plaintiff was a passenger in co-defendant's vehicle. Obtained very favorable settlement early in litigation on clear liability case involving serious bodily injuries where truck t-boned plaintiffs' vehicle in intersection after aggressive discovery efforts revealed evidence damaging to plaintiffs' claims. Avoided significant exposure and costs for trucking company. Prevailed at arbitration on behalf of paratransit bus company against passenger plaintiff alleging negligence of paratransit bus driver by establishing that the paratransit driver was not negligent and that plaintiff failed to meet her burden of proof. Successfully defended trucking company against a wrongful death action where plaintiffs alleged the trucking company negligently maintained its vehicle and equipment which lead to decedent's death. Obtained very favorable resolution for paratransit bus company in liability case involving multiple car motor vehicle accident where aggressive discovery revealed pre-existing injuries plaintiff was trying to cover up. Represented lenders in obtaining and enforcing judgments. Pursues post-judgment collection through judgment debtor examinations, issuing writs and garnishments, and motion practice. Has attached a debtor's judgment to a related Limited Liabilities Company through motion practice including Motion for an Order to Show Cause, Motion for a Charging Order and Motion for Contempt. Represented clients in Business Court on deficiency judgment matters involving the application of new laws limiting a court's award of a monetary judgment to the amount of consideration paid by an assignee. Represented financial institutions on commercial loans for pre-judgment and post-judgment creditor's remedies including obtaining judgments, issuing writs of execution, wage garnishment, judgment debtor examinations, post-judgment motion practice and other supplementary proceedings. A favorable resolution was obtained in a binding arbitration in a toxic mold case on behalf of a commercial property owner. Plaintiff's demand was several million dollars in damages. Stachybotrys and other toxic molds had invaded a commercial building, and the building was subsequently evacuated. Through cross-examination of plaintiff and her medical experts, the arbitrator was convinced that there was no credible evidence that the mold exposure did anything more than act as a temporary irritant. Summary judgment was obtained for two clients in a wrongful death asbestos case. Plaintiffs alleged that the decedent, who passed away from mesothelioma, was exposed to asbestos by clients while performing automotive brake repairs. Plaintiffs sought millions of dollars in damages, including punitive damages. A Motion for Summary Judgment was filed on all claims, contending that plaintiffs could not provide any admissible evidence linking the decedent with either client. The Eighth Judicial District Court ruled that no genuine issue of material fact existed, and that clients were entitled to judgment as a matter of law. Further, a Judgment was obtained for an award of costs against the plaintiffs. Mr. Freeman has also presented seminars to insurance companies and other organizations dealing with key issues in Nevada law, construction defect litigation, and insurance claims practices.